RM Sotheby's has already confirmed a number of beautiful and rare cars that are set to go under the hammer during its upcoming Fort Lauderdale auction, including an ultra-low-mileage Ford GT and a rare first-year Chevrolet Corvette. 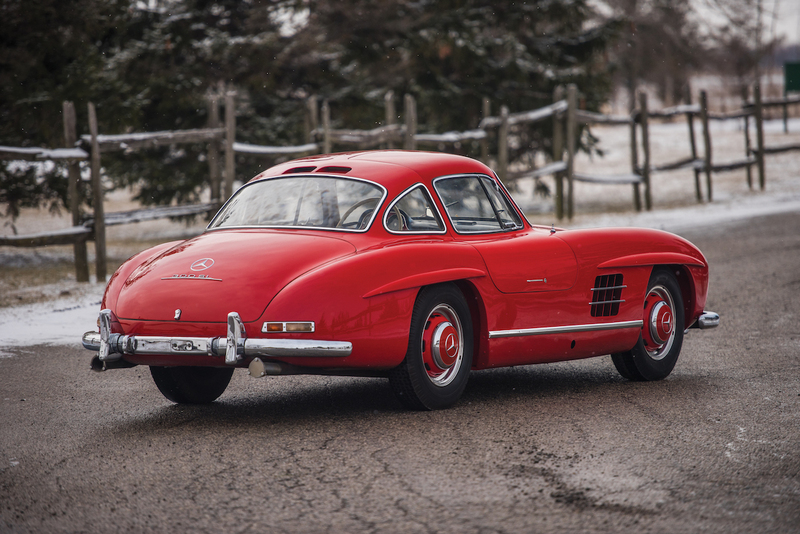 One car that caught our eye is this 1957 Mercedes-Benz 300 SL Gullwing, which is being sold exclusively to benefit the Jackson, Michigan, YMCA. The car spent much of its early life in the Pacific Northwest. 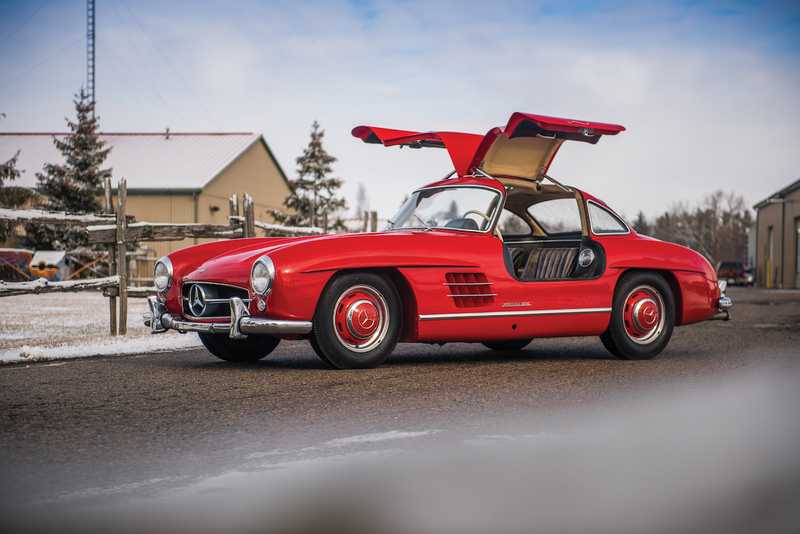 It passed between a few owners in Oregon and eventually landed in Spokane, Washington in the care of oil fortune heir and Ferrari enthusiast Arthur L.W. True. When True tragically passed away at 35-years-old, his family donated most of his collection to the Henry Ford Museum. 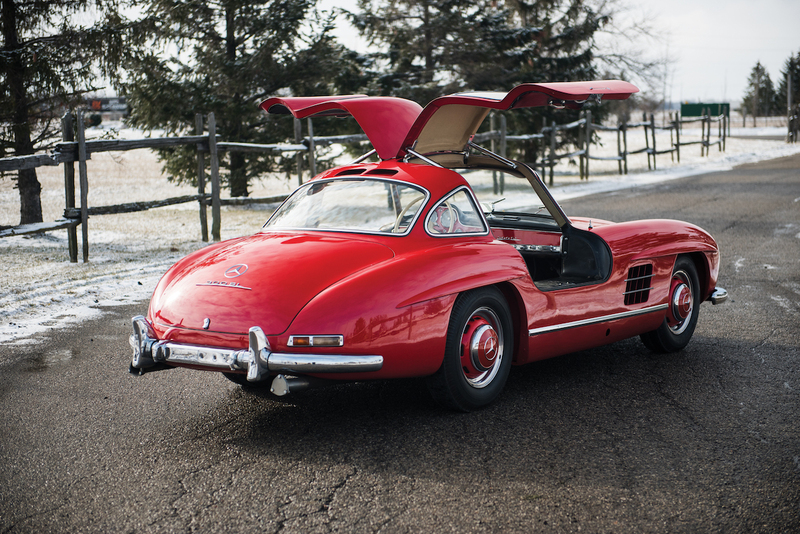 The Dearborn, Michigan-based museum kicked the car out to the street as it had no use for a Mercedes, selling the Gullwing to its present owner in Jackson, Michigan. 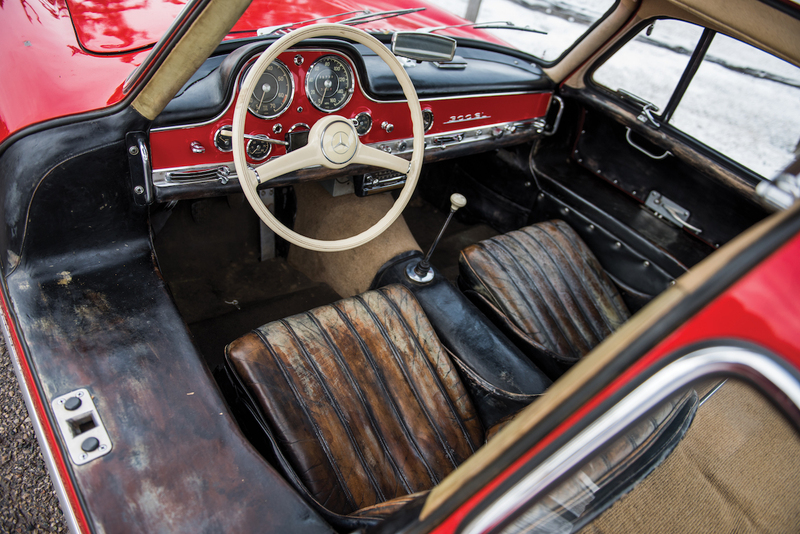 With no space to fix up the car, the owner primarily lent it to multiple museums instead of driving and restoring it, including the ACD Automobile Museum in Auburn, Indiana. 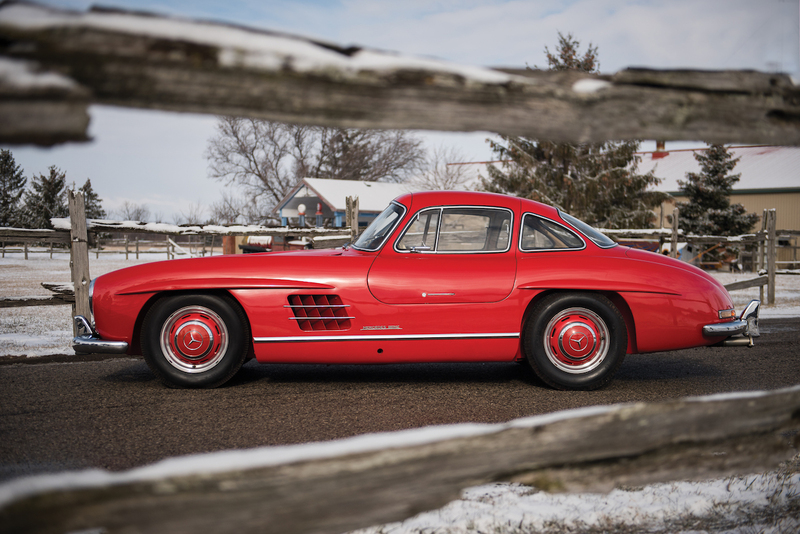 The 300 SL is now going to auction under the condition that all proceeds from its sale will be donated to the seller's favorite charitable organization, his local YMCA in Jackson. 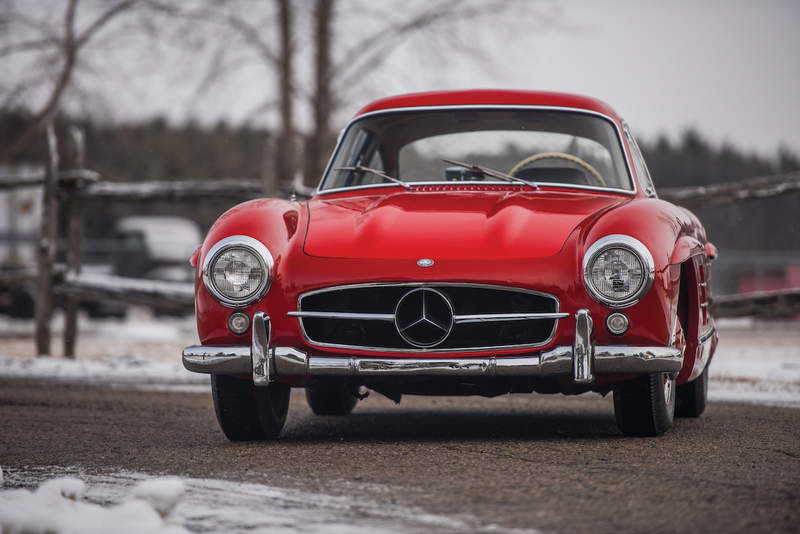 This example is one of the final five 300 SL Coupes ever built by Mercedes. 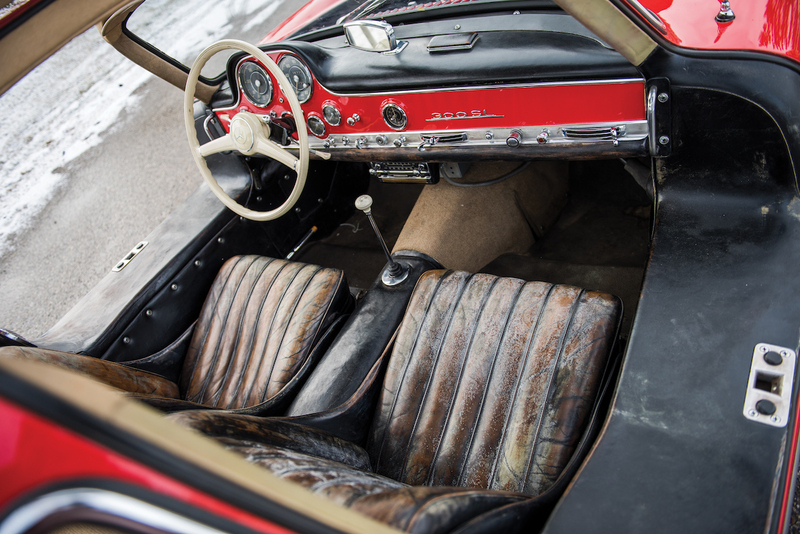 It's finished in Fire Engine red with a black-painted Cream full-leather interior. 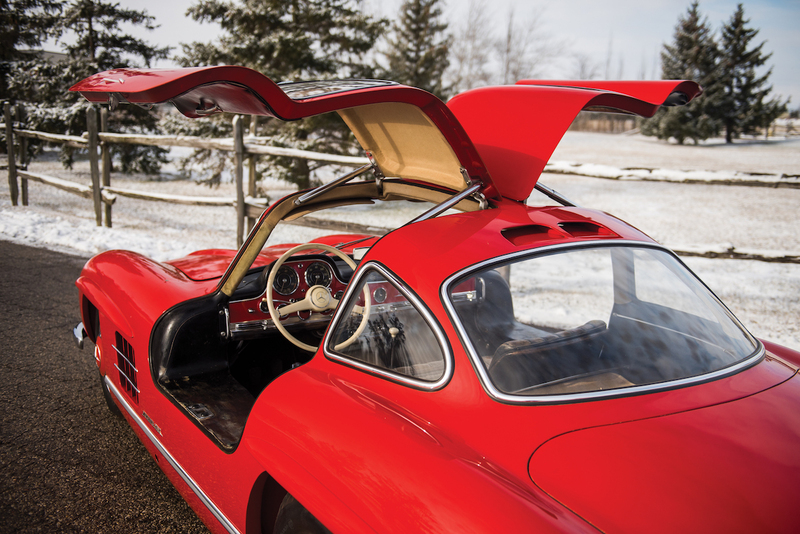 It features a Becker Mexico stereo system and of course, gullwing doors. The car will hit the auction block at RM Sotheby's Fort Lauderdale auction April 7. 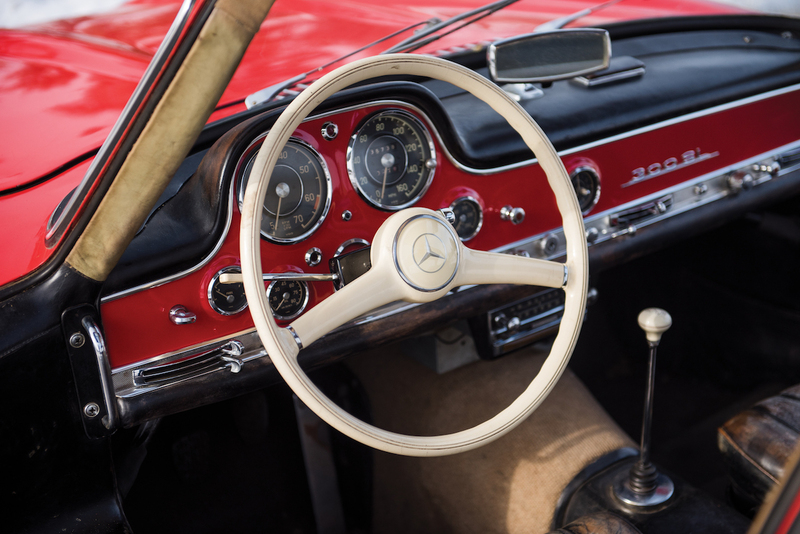 While it remains unrestored and rough around the edges, this 300 SL is still expected to sell for $1 million-$1.3 million. The two cars have a combined total of 53,000 miles on them.